I am Dishonored. I am the lowest caste in a city of honor. I live in a prison with only the promise of death. I am a mouth to feed in an overpopulated city that no one can leave. Only the wall and the pink bubble over our city protect us from the radiation outside. I live for one purpose. The city was built by the wealthy to withstand a nuclear blast, and it did, leaving its citizens trapped within its protecting walls. Liv was born as one of the most honored citizens of the city, one of the noble class. When she was eight her father was caught in a plot to kill the king and was beheaded in front of her. She was dishonored and thrown in prison with the criminal scum of an overpopulated city that could care less if the lowest caste died. 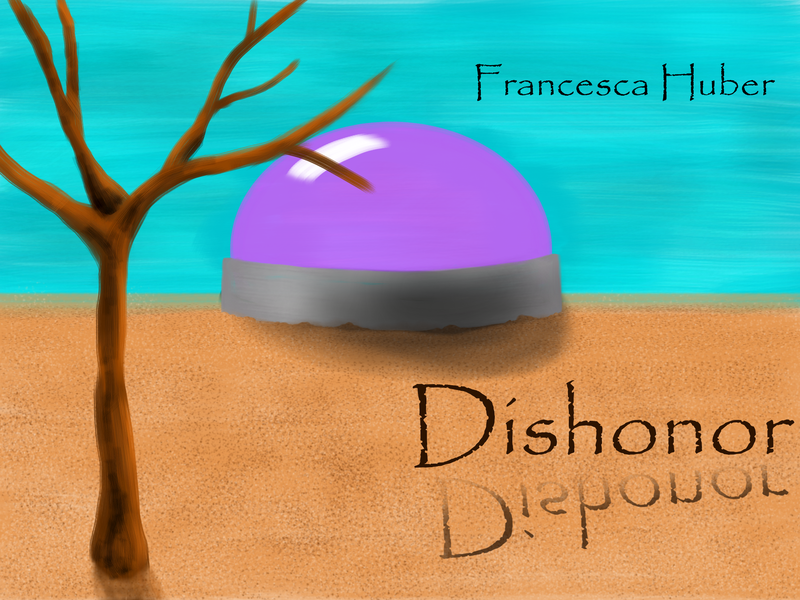 Dishonor is the debut novel by author Francesca Huber that was just released on June 29th. It is a post-apocalypse, dystopian, science fiction novel for young adults. Francesca Huber is a college student majoring in Computer Science. She enjoys networking, programming, game development, and generally working on her computer. In her spare time she rides horses, plays viola, read books, and writes stories. She also spent two years in Army ROTC. She grew up on a diet of science fiction, fantasy, and horse books imaging herself in other worlds or other times. She would tell herself stories at night to go to sleep, and those stories ended up becoming the books she writes down.